Why did I read this book: I’ve had my eye on A Northern Light for a while now and meant to read it over the course of our Young Adult Appreciation Month. Due to time constraints, I couldn’t make it – but hey, better late than never, right? Mattie Gokey has a word for everything. She collects words, stores them up as a way of fending off the hard truths of her life, the truths that she can’t write down in stories. A Northern Light is actually two parallel stories, following sixteen year old Mattie Gokey as she struggles to follow her dreams, beyond her harsh, bleak reality. In 1906, Mattie works as a maid at the Glenmore, an upscale hotel on the banks of Big Moose Lake outside New York City. One of the guests, a young woman named Grace Brown (who is not much older than Mattie herself) is found drowned in the lake and is bought to the Glenmore while her family is notified. The man she was with at the hotel and on the lake, however, is nowhere to be found. Mattie knows that something is not right with Grace’s death, as shortly before she disappeared, the tearful young woman asked Mattie to perform a favor for her – to burn a pile of letters. Letters, which may hold a hint to the woman’s tragic fate; letters that Mattie has not yet destroyed. Simultaneously, A Northern Light also tells the story of Mattie a year prior to her employment at the hotel, a retrospective storyline that catches up to the discovery of Grace’s body. This earlier thread follows Mattie as she works at home on her farm in the North Woods. After her mother’s death and her brother runs away following an argument with their father, Mattie has had to work even harder to keep her family fed and chores completed. Without her older brother to do work around the farm, Mattie’s father demands that she stay home and give up her useless pursuit of schooling and writing, much less her dreams of heading to New York City for university the following year. And every day Mattie’s dreams for the future, to become a writer free from the responsibilities of the farm and demands of her family, shrink – especially when the handsome neighboring farmer Royal takes an interest in her. As these two storylines collide, Mattie confronts the truth of the dead guest at the hotel and searches her soul for the strength to follow her dreams, or to accept the reality of her life as it is. 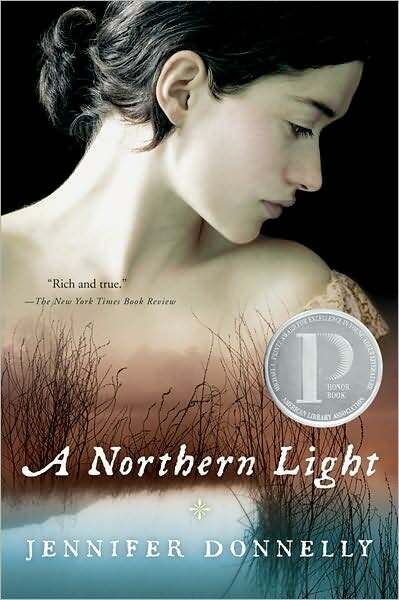 A Northern Light is one of those rare works of fiction that works on every level – as a historical fiction novel and as a young adult novel, even though it is set in the early 1900s, Mattie is a heroine that modern young readers can appreciate and identify with. 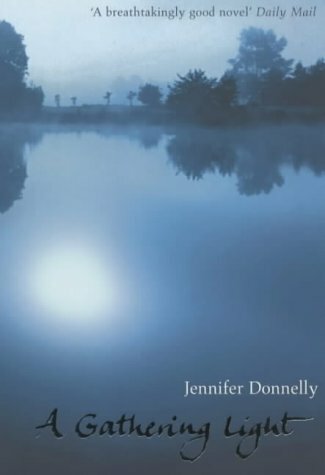 It is written impeccably, alternating storylines seamlessly with the interesting use of Mattie’s “word of the day” broken down by syllable as a header for the past storyline, which is inevitably worked into the chapter somehow (a very cool writing technique on Ms. Donnelly’s part). The history is detailed and feels completely genuine – it’s clear that Ms. Donnelly did a lot of research to understand how a farm worked in the early 1900s, the types of chores a household faced, the realities of school being a luxury that many could not afford (not because of cost, but because of the time required to take classes), and the limited options that faced a young woman in the time period. In some ways, Mattie’s story reminded me of Anne Shirley’s in Anne of Green Gables – like Anne, Mattie (and her best friend, the highly intelligent and driven Weaver) dreams of taking the Regent’s exams and earning a scholarship to a school for her creative writing, fueled onward by a bold female teacher that sees her potential to be more than a farmer’s wife. But while Mattie’s dreams and ambitions may be similar to L.M. Montgomery’s firey Anne, the two characters are decidedly different. Mattie, as a heroine, comes across as heartbreakingly real in her doubts, her fears, and her limited choices. Much more pragmatic than Anne ever could be, Mattie weighs her options carefully and is at times afraid to take a stand on her own – but that’s again all testament to Ms. Donnelly’s skill as a writer, creating a strong young female character that is a product of her time period. Yes, there are times in A Northern Light that I felt like smacking some sense into Mattie, but these feelings of frustration are a product of a more modern feminist minded, 21st century woman reading about someone who grew up in completely different, alien circumstances. And for all that, I couldn’t help but love Mattie and root for her as a character, hoping that she would take chances and open her eyes – especially as the story of poor Grace Brown unfolds as Mattie reads her letters. 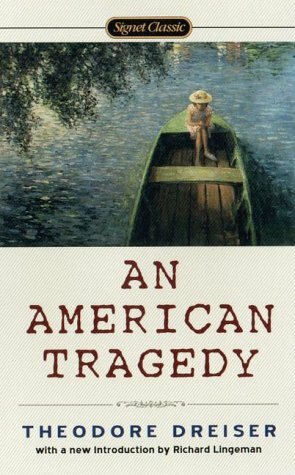 Grace Brown’s tragic tale may sound familiar, because it is the true story told in Theodore Drieser’s An American Tragedy, which later became the film A Place in the Sun. The skill with which Ms. Donnelly parallels Grace and Mattie’s stories is exquisite – though the two women are of different circumstances, the traps they find themselves in resonate tragically. Beyond Mattie and the beautifully detailed historical background, A Northern Light also has standout secondary characters, particularly in the form of Mattie’s best friend Weaver. The first free born of his family, Weaver and his mother moved to the North Woods years earlier, and he and Mattie become quick friends. Determined and ambitious, Weaver is an intelligent and driven foil to Mattie’s indecision – unlike Mattie, Weaver knows what he wants and pursues it relentlessly. And, for all that, he’s also brash and quick to fight, especially when those traveling through the town hit him with racial slurs or disrespect him or his mother. But for all that, Weaver came across as undeniably real, passionate character in Mattie’s narrative – someone she longed to emulate, and someone she admires dearly. And finally, I would be remiss if I did not mention Mattie’s teacher, Miss Wilcox. Miss Wilcox is a mentor to Mattie and Weaver, a Modern Woman who has her own money, an automobile, and lives by herself in the small town. She also fosters Mattie’s passion for reading and writing and urges her to follow her dreams, no matter how difficult and distant they may seem. In contrast to Mattie and the ill-fated Grace, Miss Wilcox seems worldly and wise, someone who has been able to rise beyond the expectations of class and gender – but later it is revealed that even Miss Wilcox is constrained, if in a slightly larger and more luxurious cage. These three womens’ stories (Mattie’s, Grace’s, and Miss Wilcox’s), as well as Mattie’s friendship with Weaver are beautifully written, sweet high notes in a novel full of both harshness and wonder. A Northern Light won the Carnegie Medal, as well as the Los Angeles Times Book Prize and the Michael L. Printz Award Honor – and all these accolades are well deserved. I loved A Northern Light, and wholeheartedly recommend it to readers of all ages and of all genres. This is a beautifully told story about a young woman’s journey of self discovery amidst racism, sexism, and poverty, and a book not to be missed. When summer comes to the North Woods, time slows down. And some days it stops altogether. The sky, gray and lowering for much of the year, becomes an ocean of blue, so vast and brilliant you can’t help but stop what you’re doing-pinning wet sheets to the line maybe, or shucking a bushel of corn on the back steps-to stare up at it. Locusts whir in the birches, coaxing you out of the sun and under the boughs, and the heat stills the air, heavy and sweet with the scent of balsam. Until Ada Bouchard comes out of the doorway and slips her hand into mine. And Mrs. Morrison, the manager’s wife, walks right by us, pausing at the top of the steps. At any other time, she’d scorch our ears for standing idle; now she doesn’t seem to even know we’re here. Her arms cross over her chest. Her eyes, gray and troubled, fasten on the dock. And the steamer tied alongside it. I don’t answer her. I’m not scared, not exactly, but I can’t explain how I feel. Words fail me sometimes. I have read most every one in the Webster’s International Dictionary of the English Language, but I still have trouble making them come when I want them to. Right now I want a word that describes the feeling you get-a cold, sick feeling deep down inside-when you know something is happening that will change you, and you don’t want it to, but you can’t stop it. And you know, for the first time, for the very first time, that there will now be a before and an after, a was and a will be. And that you will never again be quite the same person you were. Standing on that porch, under that flawless sky, with bees buzzing lazily in the roses and a cardinal calling from the pines so sweet and clear, I tell myself that Ada is a nervous little hen, always worrying when there’s no cause. Nothing bad can happen at the Glenmore, not on such a day as this. Additional Thoughts: As I mentioned briefly above, Ms. Donnelly wrote some of her story and was in part inspired by the real life case of Grace Brown’s mysterious death, and her missing fiancee Chester Gillette – Gillette was later convicted by Grace’s letters, discovered after her death. This story was originally told in the classic novel An American Tragedy by Theodore Dreiser. The novel (published in 1925) was later adapted into a play and then film starring Elizabeth Taylor, Montgomery Clift, and Shelley Winters. You can read more about Ms. Donnelly and A Northern Light online HERE. Verdict: I loved A Northern Light – it is powerful, raw, and emotional, about a young woman finding her way in a world that seems against set against her. Absolutely recommended, and another notable read of 2009. I’ll be on the lookout for more from Ms. Donnelly – with her adult historical fiction on the book radar! I read this a couple of years ago when I was getting my masters in library science. I had to read Printz winners and runners up, one from each of the last ten years. A Northern Light was by far my favorite. Very, very charming. I read this book a while ago now. I liked it, but it is really this author’s Victorian sagas which are my favourites, particularly The Winter Rose. As I understand it she has been working on another YA novel, and then the third saga will be released, which is the one that I am waiting for most anxiously. I’m so glad you loved this!! One of my favourite books EVER. 🙂 I made my mum read it, and she fell in love too – definitely a book for all ages. I’ve read one of JD’s adult novels (I’ll have to check which one) and quite enjoyed it. There was a strong feel of the old-fashioned ‘blockbuster’ about it – like a saga – and it was pretty romantic. I wonder if Ana has read any of the adult books? Oh, I loved ‘A Northern Light’! Beautifully written and fascinating story. A Place in the Sun is an incredible movie. Montgomery Cliff was quite the looker back in the day. *sigh* another book to add to my growing pile because of you!! bookalicious – This is definitely a keeper! I hope you get a chance to read A Northern Light and dust it off the ol’ TBR! Sandy – What a cool assignment! I really loved this book, and I wasn’t expecting to. It’s so memorable, and well written, and…well, wonderful. Kaz – *highfive* Heck yes, I can definitely understand this being a favorite book. I loved it. LOVED it. And now am even more excited for Ms. Donnelly’s adult stuff! SarahT – I couldn’t agree more! Absolutely lovely. KB – Yes he was! 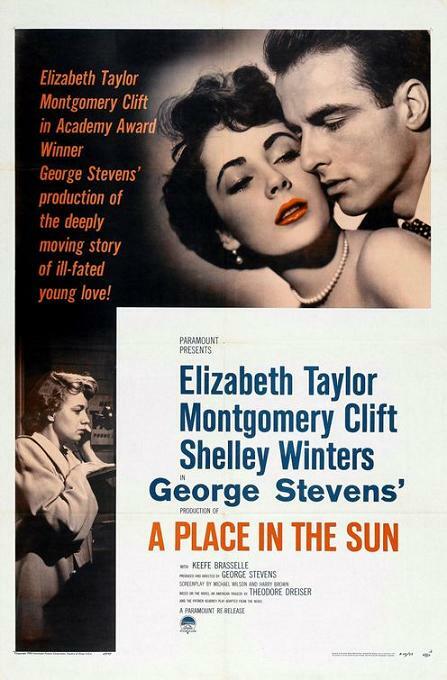 And I agree, A Place in the Sun is a classic, important film. I think you’ll really like this book too, it’s so well written. Orannia – My pleasure 😉 I think you’ll definitely love this one! I hope the library has it (I’m sure they do!). Oh how I adore Jennifer Donnelly. She’s a fantastic writer and so nice. I’ve loved all of her books and I especially loved A Northern Light. I am so glad you enjoyed it too!! Her Rose trilogy, at least the first two, are equally marvelous. She’s such a detailed, affecting author. I think you will love them too! And I can’t wait for the last in that series and the new YA book! I just finished reading this book and I loved it. Mattie’s voice was so clearly told that I could feel every emotion as she went through her story. Hi Thea – I just got through reading this one for the second time and I still enjoyed it. Mattie is such a great character. This one definitely stands the test of time and I’ll be passing it on for my friends to read. Excellent post. I was checking constantly this weblog and I am inspired! Very useful info specially the final section 🙂 I maintain such info much. I was looking for this certain information for a very lengthy time. Thank you and best of luck. bhí sé seo ina leabhar fíor thrilling! Ba mhaith liom a rá go bhfuil sé seo ar cheann de na leabhair is fearr i léite i mo blianta atá caite. Cé tá mé 69 bliain d’aois, bhí an leabhar seo gan íoc! ????? ?????? ???? ?, ?????-???? ??????????! Can someone help me?? :) I’m not asking for much.. Plzz I’m begging u!